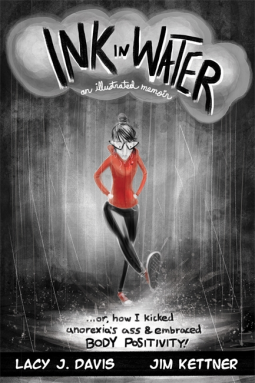 Publisher: New Harbinger Publications, Inc.
Synopsis: At once punk rock and poignant, Ink in Water is the visceral and groundbreaking graphic memoir of a young woman’s devastating struggle with negative body image and eating disorders, and how she rose above her own destructive behaviors and feelings of inadequacy to live a life of strength and empowerment. As much as I wanted to enjoy this book and get carried a way with it, it took me a very long time to get into the story. The narrative is very straight forward with little distracting decor and it was supposed to be a touching story. Or, I thought it would be a touching story, instead it was a hard and gritty narrative of a very real battle with mental illness. The rawness of the narrative and the very relateable additional issues that often tag along with mental illness made this book very hard for me to read. The story convey in a very real and hard way how mental illness can be there even if you are obviously unaware of it for a while. IT shows how, even when you know you are sick, the biggest challenge of the battle is not the disease itself but recovery part. Mental health issues, like eating disorders, depression, OCD, they become a part of you and who you are. The disease become part of how you see yourself and you identity, and how are you supposed to recover from your identity? Davis goes all the way out to show how real her struggle was and she is in not painting any rainbows or making any face-saving promises or painting rainbows. Yet her strong narrative still warrants hope and I would recommend the book for anyone who knows someone or themselves struggle with an eating disorder. Kettner’s gritty artwork throughout the novel aids to the harsh narrative without sugar-coating anything. Nothing in a story like this needs sugar-coating, even if it makes the story harder to read, and both the author and the illustrator knows this. When you are a writer and you struggle with depression, writer’s block isn’t just writer’s block anymore. Writer’s block is something that can be easily swayed when you put your will to it; but when your writer’s block comes from depression it is significantly harder. I have experienced this first hand. In the past I’ve had writer’s block, and I’ve dealt with it. The best way to battle a block is to just sit down and write. The last few years I have struggled with clinical depression, to a degree where I have been on medication. As I write, I do realize that this post should have been written in May, during mental health awareness month, but mental illness is here for all the other months too. For us all to help remove the stigma, we need to be talking about it, not only in May. The problem with a Writer’s block when you are depressed, is that the will to something about it is far away. For me, writing has been a sort of therapy. My writing is where I write out my anger, my hatred. It is where I can be anything I am unable to be in my real life. Two years ago, I just stopped writing, and writing has been a constant struggle since, and my depression has turned worse. It is a downward spiral; I can’t write because I’m depressed, I’m depressed because I don’t write. Because of my illness I was unable to finish my Creative Writing Degree, I had to defer my third year and will be doing it over this year. And I do claim to have all the answers to fix it (I’m still not writing the writing I need), because there is no magical cure and it might not get easier. To battle the writer’s block, the first step is to realize what’s the problem. In my case depression is the reason or my writer’s block, and eventually the writer’s block became a contributing cause for my depression. It was already too late for me to turn things around when I realized this, a whole semester had passed and it was three months until my dissertation was due. I think what I am trying to say here is that it is important to see things in context. As writers we create context in all our little pieces of work, but while we are doing this we forget to take a look at our own, very real, life. So my advice would be: read wide, read often, and read to expand your mind. Also, remember it is no shame in putting down a book that just doesn’t rub your back. 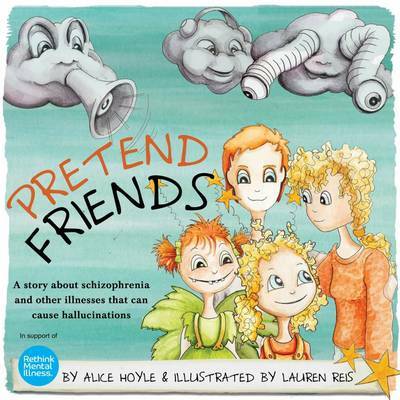 “Pretend Friends” paints a good picture of psychosis, what it is and how it works. It is written in simple words and uses “pretend friends” as a simile, which makes it easier for a child to relate to and understand the subject. The story is short but it still gives a lot of information, both for the adult and the child. The child’s pretend friends and the “pretend friends” that portray adults are drawn differently as to better distinguish between the two (without making the latter one look scary). Also the book features and introduction for adults as well as a F&Q at the end with questions that children might ask after reading the book. The F&Q is very informative as well as being formulated in a way that a child also can understand (with some help from an adult). I did really enjoy this book and I would also like to see more of these kind of stories to explain other mental illnesses. As the lack of understanding of mental illnesses is evident in out society, I think we could hugely benefit from more books like this one. 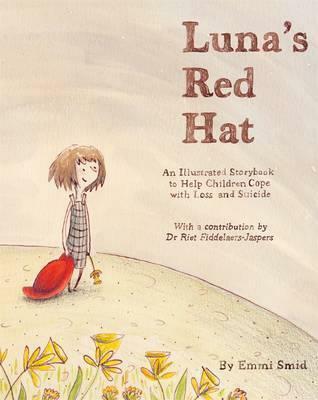 All royalties earned by this book goes to support rething.org and their work with mental illnesses!